These terms and conditions outline the rules and regulations for the use of www.kitepower.nl. 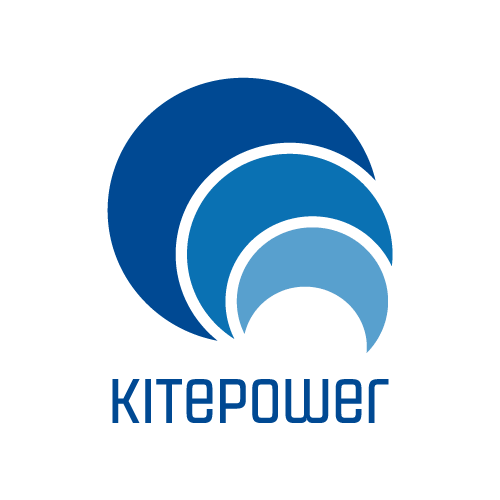 Kitepower, a trademark of Enevate B.V., is an airborne wind energy company established in The Netherlands and located at the TU Delft Aerospace Engineering Faculty – Kluyverweg 1 2629HS Delft, Zuid Holland. For any enquiry please contact info@kitepower.nl, we will be happy to provide you with all the requested answers and information. Cookies are small pieces of text sent by your web browser through a website you visit. A cookie file is stored in your web browser and allows the service or a third­ party to recognise you and make your next visit easier and the service more useful to you. Cookies can be “persistent” or “session-dependant” cookies. We use both session-dependant and persistent cookies throughout Kitepower’s online services and these may consequently also differ in type: Essential cookies & Third­-party cookies. We may use essential cookies to authenticate users and prevent fraudulent use of user accounts. In addition to our own cookies, we may also use various third­-parties’ cookies to report usage statistics of our online resources and services as well as deliver advertisements on and through the service. This process doesn’t collect the personal information you provide us with when filling out a form on our website but rather focuses on the anonymous behavioural patterns of visitors interacting with the website itself. If you choose to provide us with personal information – as in an email or by filling out a form and submitting it to us through our website – we will use that information to respond to your message and to help us get you through the process you have requested (hiring procedure or data-request for instance). Kitepower does not collect personal information for commercial marketing or distribution to any private organisations. Personal information entered on this website will not be used to send unsolicited emails, and will not be sold to a 3rd party. The personal information collected is only temporarily stored and used by Kitepower staff for the purposes defined at the time of the collection or use that complies with these purposes. We use your personal information to appropriately process your requests and present you with the information you need to access. We also use all of the information you provide voluntarily in order to make your visits on our site possible. This information might, at a later time, allow us to add customised elements to our site or to plan its content more appropriately, based on user interests. If you have granted us the permission to, we can use your personal information in order to send you newsletters, with the intent of offering you the best service possible. At all times, the sender of an email prepared by Kitepower is easily identifiable and reachable, via email or phone. You can request at any time all the data that we have saved about your submitted profile and request its deletion via: personal-data@kitepower.nl. We monitor and analyse statistics relative to www.kitepower.nl and relative subdomains through Google Analytics. We make use of Google Tag Manager to control marketing oriented data relative to www.kitepower.nl and all its subdomains. Our mailing list is managed through Mailchimp. Kitepower will use the information you provide on the mailing list subscription form to be in touch with you and to provide updates and marketing. Unsubscribe: You can change your mind at any time by clicking the unsubscribe link in the footer of any email you receive from us, or by contacting us at info@kitepower.nl. We will treat your information with respect. Personal data relative to job candidates is collected through our online form at www.kitepower.nl/job-application-form or www.kitepower.nl/internship-application-form and managed/processed in Pipedrive. All the informations collected during the hiring procedure will get stored until a final outcome is assigned. The duration of the hiring process may vary depending on the specific vacancy and candidate, storage of relative data lasts accordingly. Personal data relative to the interested individual is collected through our online form at www.kitepower.nl/data-request-form and managed/processed by the web care and technical staff through dedicated company’s mailboxes without being stored on third-party applications. All the information collected via the contact form will be used to assess the relative request and won’t be stored elsewhere than on the associated mailbox. Kitepower and/or it’s licensors own the intellectual property rights for all material on Kitepower. All intellectual property rights are reserved. You may view and/or print pages from www.kitepower.nl for your own personal use subject to restrictions set in these terms and conditions. Republish material from www.kitepower.nl without mentioning credits to Kitepower. Sell, rent or sub-license material from www.kitepower.nl. Reproduce, duplicate or copy material from www.kitepower.nl. Redistribute content from Kitepower (unless content is specifically made for redistribution). Use Kitepower’s logo or artwork without a license agreement. Kitepower must get acknowledged each time the data is used. Kitepower must be informed about the publications including the data via email to: info@kitepower.nl. Kitepower has the right to republish the publications containing the data on kitepower.nl and/or Kitepower related networks. All the requests should be forwarded to us through the data request online form. If you find any link on our website or any linked website objectionable for any reason, you may contact us about this. We will consider requests to remove links but will have no obligation to do so or to respond directly to you. Whilst we endeavour to ensure that the information on this website is correct, we do not warrant its completeness or accuracy.